All doubt has been removed, the era of the folding smartphone is here. 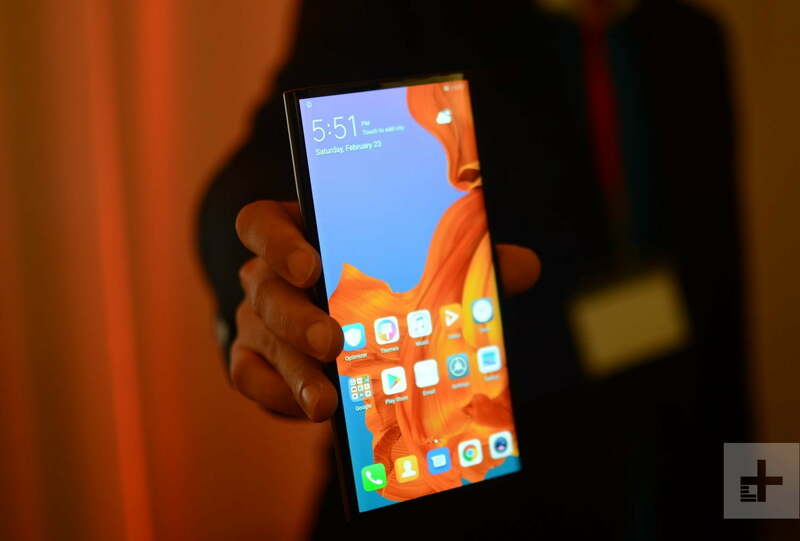 On February 20, Samsung showed off the Galaxy Fold, and if you got excited over that, wait until you see the Huawei Mate X. Huawei has been open about making a folding phone for a while, and even mentioned that it will support 5G before, but now we’ve seen it — from a distance — and it’s even more intriguing than Samsung’s phone. 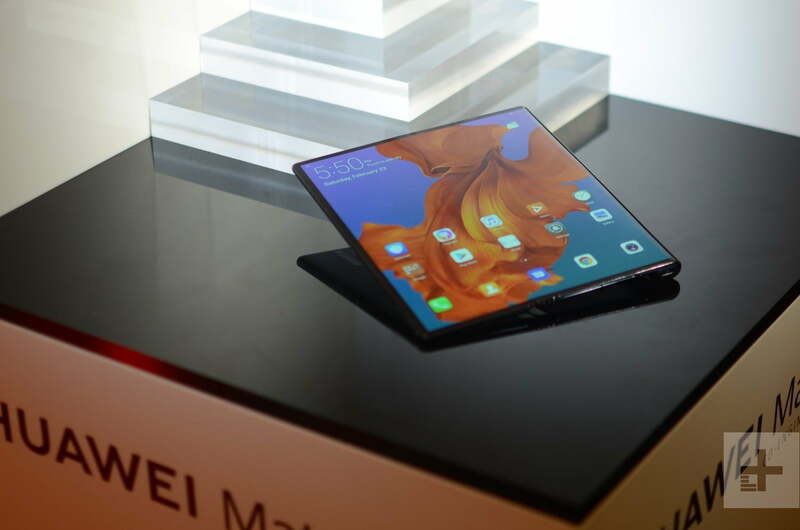 Here’s everything we know about the Huawei Mate X folding smartphone. Huawei describes the Mate X as a product that will redefine the smartphone space, the future of design and the future of technology, all in one. 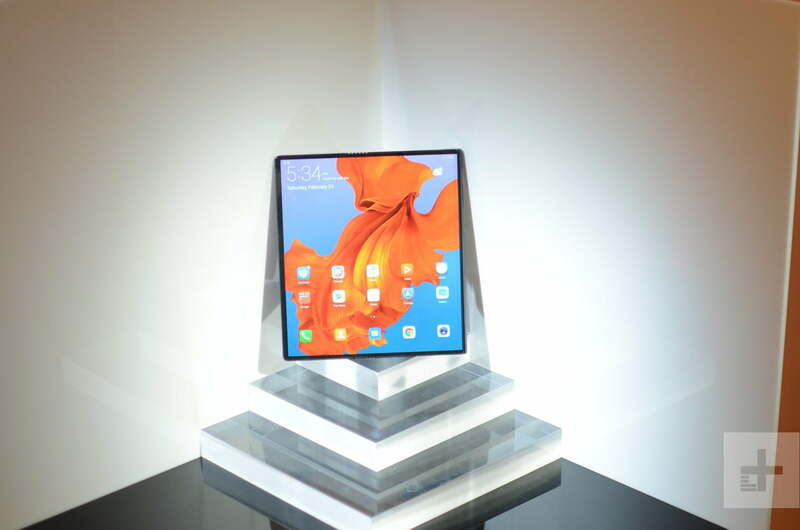 The body folds in a similar way to the Royale Flexpai, and not like the Samsung Galaxy Fold, meaning the large tablet screen becomes the front and the rear screen when folded. When in this configuration, the main screen measures 6.6-inches and has a 2,480 x 1,148 pixel resolution. Huawei makes a point of calling this the main screen, and says it’s the part of the phone people will use most often, hence the size. The Samsung Galaxy Fold’s outer screen is 4.6-inches, for comparison. On the back of the Mate X is a 6.38-inch, 2,480 x 892 pixel resolution screen. 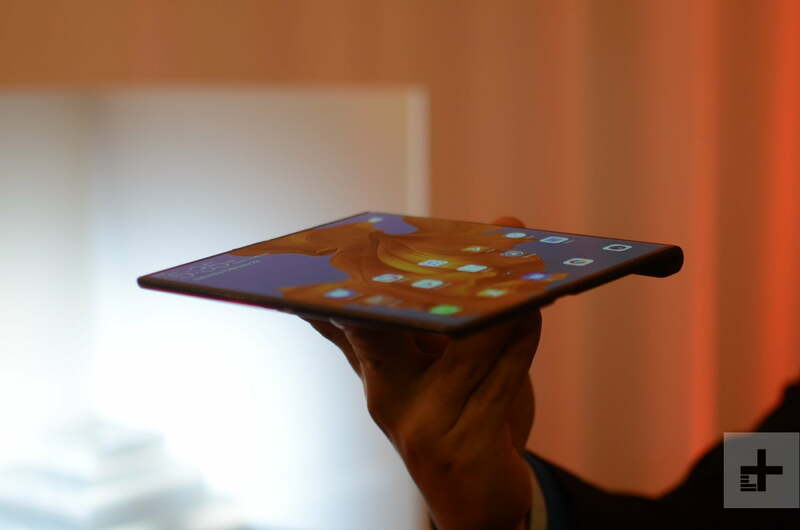 Fold the device open and you get an 8-inch OLED tablet screen with a 2,480 x 2,200 pixel resolution. The unfolding process is facilitated by what Huawei calls a Falcon Hinge, which hides beneath the curvature of the screen, ensuring both sides of the phone lay flat when folded. This results in a very slim profile of just 11mm thick. Unfolded, it’s 5.4mm thick. Samsung informed us during the launch event the Galaxy Fold will be around 17mm thick. 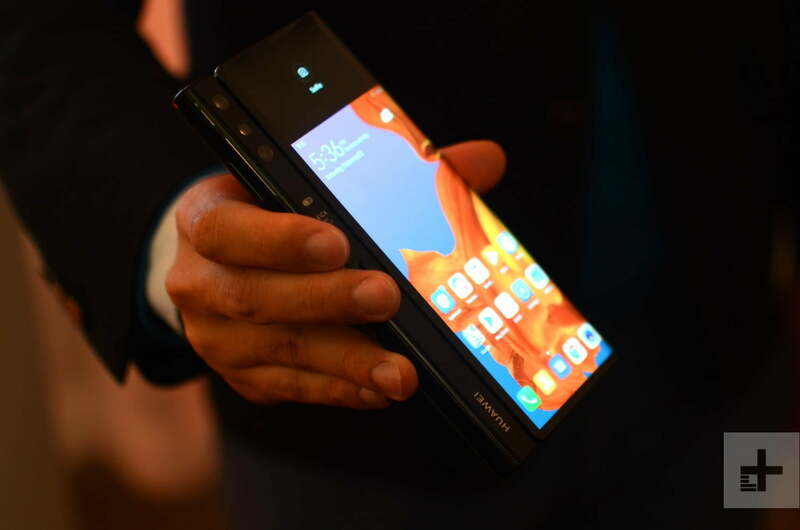 Despite the wrap-around screen, Huawei cleverly differentiates between the front and rear screens when folded with a blacked-out spine, making it look like a regular — just thicker — smartphone. On one side of the Mate X is a bar which contains components, the camera lenses, and the power button which also contains a fingerprint sensor. This bar has been ergonomically shaped to make one-handed use of the Mate X much easier. We have seen the Huawei Mate X close up, but not held or interacted with the phone yet. We cannot comment on its weight, how it feels to use, or how the screen looks. From a distance, the product looks polished and exciting, but it was clear while the phone was being shown off that the software still needs work. Additionally, when the phone was unfolded, there were ripples across the screen suggesting it may not look as smooth as glass. However, these are only impressions gained from a short time in the presence of the device. 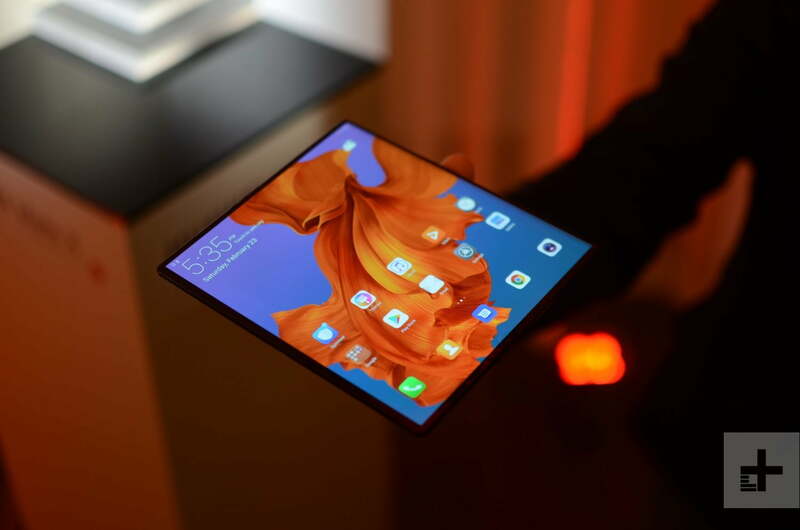 Huawei promised a folding 5G phone, and it has delivered. The Mate X uses the Kirin 980 processor with the new Balong 5000 5G modem, plus a quad 5G antenna inside. Huawei boasted about testing its 5G modem on live 5G networks, and said it has twice the performance of Qualcomm’s old X50 chip. It says a 1GB video file can be downloaded in three seconds on a 5G network. What else? We don’t know RAM or internal storage space yet, but we do know there are a pair of batteries totalling 4,500mAh in capacity. A new 55-watt proprietary SuperCharge system will race from zero to 85-percent capacity in only 30 minutes. Last year’s Huawei Mate 20 has 40-watt Supercharge technology. There are three camera lenses on the Mate X, and all face in one direction. Selfies are taken with the same camera lenses that you’d use to shoot regular photos — an added advantage of having a screen on the front and the back of the phone. If you’re taking pictures of someone else, they can even see themselves on the screen to check posture and expression. We do not know the specification of the camera, but Huawei said it is a brand new camera built with Leica. Huawei has unveiled the Mate X at Mobile World Congress in Barcelona, Spain. We’ll be updating this story as more details are revealed about the device during Huawei’s press conference. A the time of writing we do not know the price or availability of the Mate X. Rumors regarding the device’s eventual launch indicated it will go on sale in June, according to ETNews and a South Korean network official who saw the device in November 2018. Rumors have also spread that the folding phone would come in a small production run at first, indicating it will be complicated to produce. This exclusivity and manufacturing complexity may make the device expensive. Updated on February 24, 2019: Updated with official Mate X details.